High Peaks Pure Earth has translated a blogpost by Woeser written between October and November 2013 for the Tibetan service of Radio Free Asia and published on her blog on November 16, 2013. The blogpost gives a comprehensive overview on the Chinese government’s religious policies in Tibet since the 1950s to the present day. These three photos were all taken when I was in Lhasa last year. 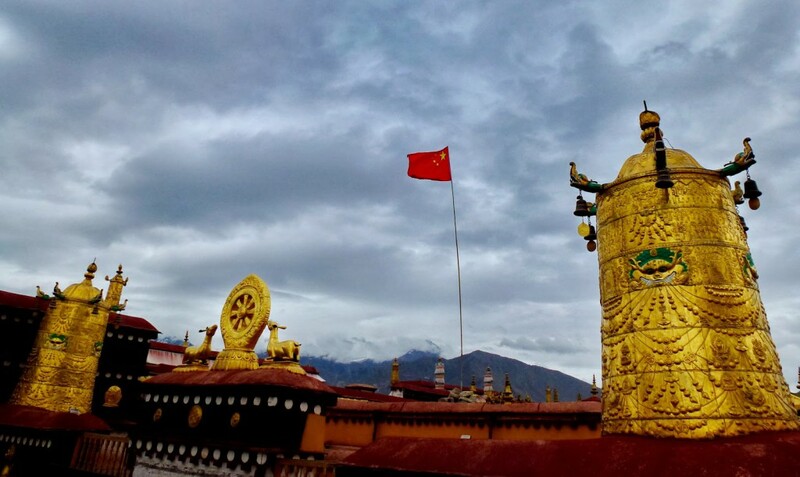 Photo 1 shows the Jokhang Temple that His Holiness the Dalai Lama blessed as “the most sacred temple in the whole of Tibet”; today, the scarlet-red Chinese flag is flying on its roof. 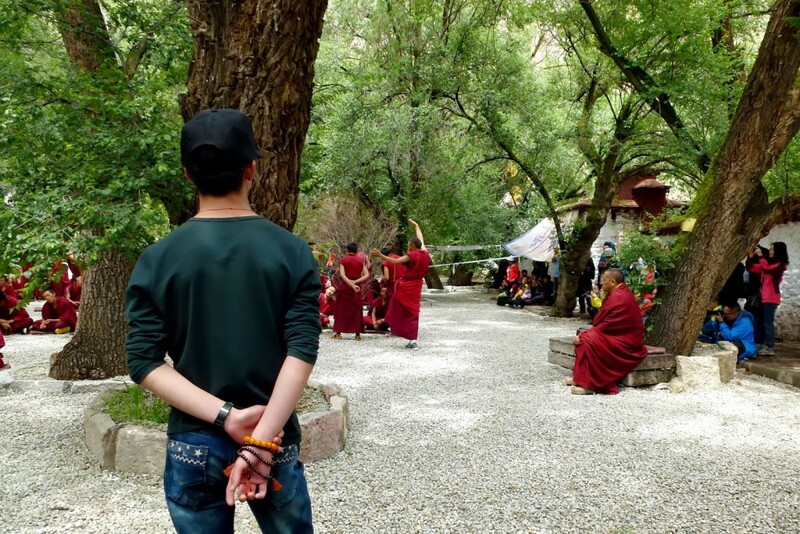 Photos 2 and 3 show Sera Monastery, one of Lhasa’s three main monasteries; the few remaining monks are performing a Buddhist debate to tourists; the young Chinese who is wearing lay clothes is actually a member of the military police. The prayer beads that he is wearing are to disguise him as a Buddhist. The religious reforms were passed by the CCP Central Committee and launched in 1958. It was a political movement in the Tibetan areas of Amdo and Kham and had one ultimate goal to destroy Tibetan religion step-by-step. For example, the reforms entailed closing down monasteries, arresting important religious figures, or forcing monks and nuns to leave the monastic order. In Qinghai province alone, out of 618 traditional Tibetan monasteries, 597 collapsed, out of their 57390 members, 30839 were forced to return to ordinary life. In 1959, under the name of “fighting the counter-revolutionary rebels”, Tibetan religion was attacked fiercely. Religious leaders either fled abroad or were arrested and sentenced; it was a time of total destitution. As a result of the Cultural Revolution from 1966-1976, out of the originally 2713 monasteries inside Tibet, only 8 remained. In the entire Tibetan region, including Qinghai, Sichuan, Gansu and Yunnan provinces, out of the originally over 6000 monasteries, less than 100 remained. At the end of the Cultural Revolution, after experiencing terrible calamity, Tibetan religion underwent a revival, most of the destroyed monasteries were rebuilt under the efforts and sacrifices of Tibetan people. I want to particularly stress that the funds needed to rebuild these monasteries almost entirely came from donations from Tibetans themselves. The central and local governments only gave money to rebuild a few most famous religious places. In the early 1980s, local leaders were comparatively moderate and Tibetan religion enjoyed some degree of freedom. But because of the numerous protests that erupted between 1987 and 1989 in Lhasa, and particularly after Hu Jintao became Party Secretary of the TAR in 1988, religious policies were tightened. All the way up to today, local Party Secretaries have been hard-liners, supporting and placing emphasis on tough religious policies in Tibet. In January 1989, the 10th Panchen Lama suddenly passed away, leaving behind a situation full of suspense. Between March 1989 and May 1990, adopting the rhetoric of the “barrel of the gun”, Hu Jintao turned Lhasa into a military zone. Chen Kuiyuan, appointed by Hu Jintao, became the head of the TAR. From then on, first in Lhasa and gradually in the whole TAR, the local authorities established work groups in all monasteries, fostering “patriotic education”; the abbreviation for these work groups was then “ Offices of Patriotism”. Their main job was to unify all monks’ perception and knowledge of the Dalai Lama. In cases of slight nonconformity, monks would be expelled, in severe cases, they would be sentenced to imprisonment. This was a time of many suicides among monks, a fact that remained largely unknown to the outside world. 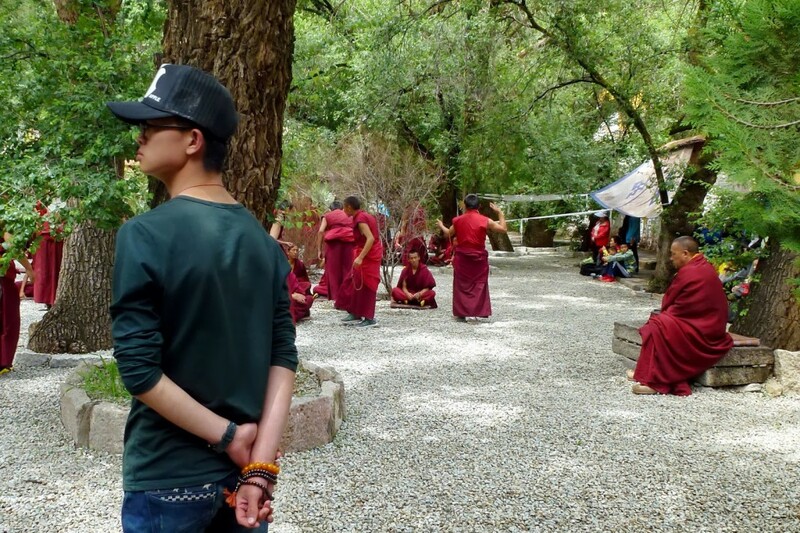 “Patriotic education” was continued until 2008, when renewed hard-liner policies expelled the monks from other Tibetan areas living in Lhasa’s three main monasteries, which eventually led to the eruption of the March 2008 protests. Over the past five years, “patriotic education” has been spread across the entire Tibetan region, which has had extremely negative repercussions. Between February 2009 and September 2013, 121 people self-immolated inside Tibet and 5 within the exile community. Out of the 126 self-immolators, 19 were women and 107 have already passed away. The local authorities, however, have become ever more unyielding. There was, for example, the well-known and greatly criticised project of the “9 haves” that was implemented in monasteries and villages of the TAR. It dictates that people need not only to possess the portraits of the CCP’s four (now five) great leaders and the five-starred red flag, but also that they have to possess a Party radio, TV and a newspaper to be able to receive the voice of the Party at all times; additionally, the work groups stationed in monasteries and villages have been building police stations that resemble the monasteries in terms of external appearance. The cruel reality is that all Tibetan monasteries are already trapped in a cage. Originally published at http://highpeakspureearth.com/2014/an-overview-of-the-ccps-religious-policies-in-tibetan-areas-by-woeser/ and republished by TPR with permission of HPPE.